We had a great time in B&B NiceVeNice. We arrived late but they were really lovely about it. The location is great, around 5-10mins to Rialto Bridge. 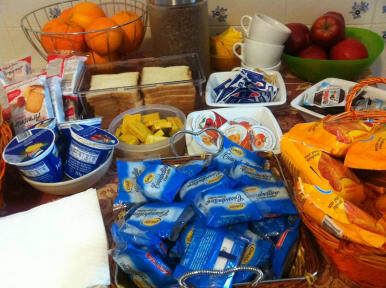 The breakfast was amazing, with a coffee machine, cereal, croissants, and toast provided. The room was very spacious and homely. The only thing is finding the place initially can be a bit tricky as there is no sign indicating its presence, just a tag next to the doorbell. But once you're there, its great! We had a really lovely stay in B&B Nice Venice. Although a bit difficult to find at first we just followed the house numbers and found it easily enough. It was lovely having breakfast included, although we weren’t spoilt for choice. The shared bathrooms were large and clean. Our room was large although a bit dingy due to the fact that the Venetian houses are built very close together meaning lots of the windows struggle to let in much light. 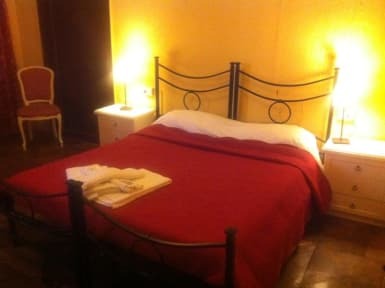 Overall a great b&b right near the heart of Venice. The room was big, with TV but we never got the remote control, beds not really comfortable, we didn’t have the breakfast in our last day, spiders and spiderwebs in the shower.